We produce and stock many compatible Cisco cables including this CAB-CONSOLE-RJ45. The CAB-CONSOLE-RJ45 is 100% compatible with Cisco equipments and guaranteed to meet or exceed Cisco specifications for quality, performance and functionality. The CAB-CONSOLE-RJ45 comes with an industry leading lifetime replacement warranty, surpassing the Cisco warranty for the same product. 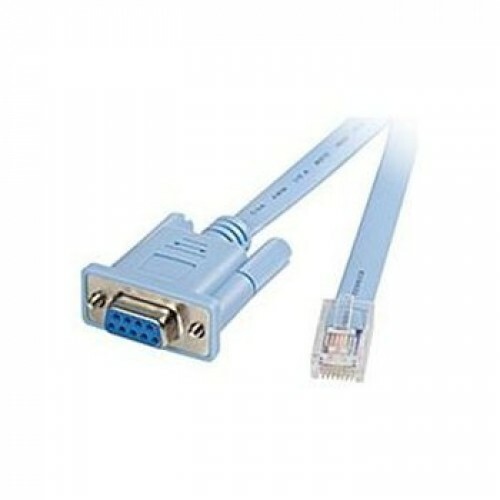 We guarantee the Cisco cable CAB-CONSOLE-RJ45 to work in your Cisco equipments. Because we are the original manufacturer, we can make any length for this CAB-CONSOLE-RJ45. If you need customized length, please put your requests in your order comment.